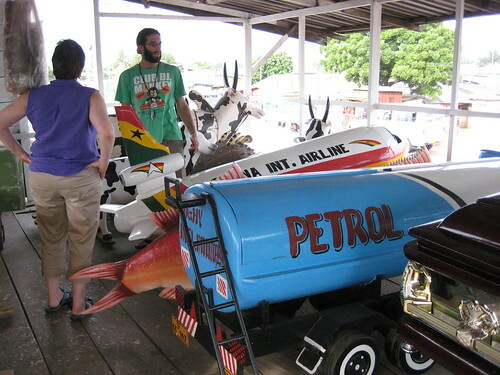 The dead in Ghana especially those of Ga tribe in coastal Ghana get a burial in custom designed exquisite coffins in the shape of Aircrafts, Cars including Mercedes, Birds, Fish, Bottle of Beer, Soft drink and other objects relating to the deceased; how he/she lived or his/her profession or hobbies or wishes. 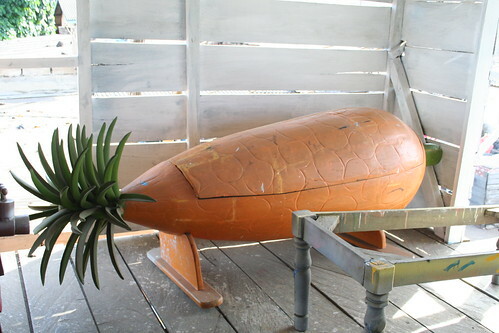 The trend started in the early 1950 and has now become a status symbol to be buried in specially made coffins which can cost any where from 500 to 1000 Dollars. 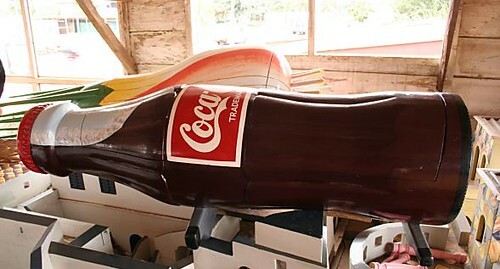 In early 1950 carpenter brothers Kane Kwei and Kane Adjetei in the city of Teshie, built a coffin for their grandmother, who in her lifetime had expressed her wish to fly in a plane but couldn't afford it. 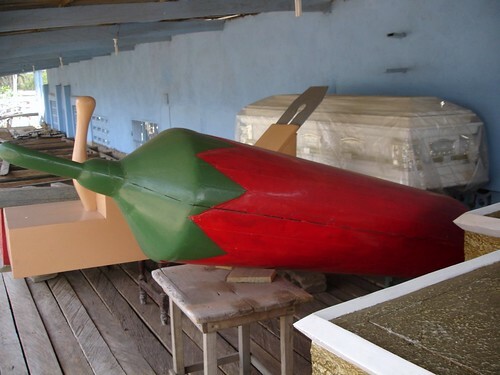 They therefore thought it appropriate that her last journey should be in an aircraft and made her coffin in the shape of a plane. 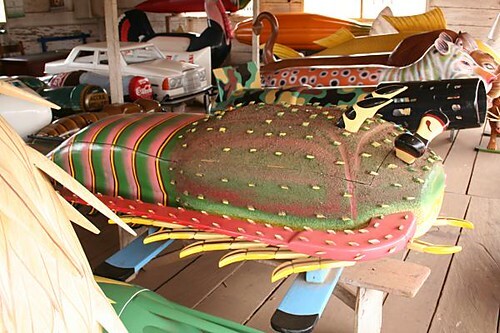 Their fellow Ga people who believe that when someone dies, they pass into another life, were very impressed with this idea and short while later someone approached the carpenter brothers to build a boat shaped coffin for their dead. 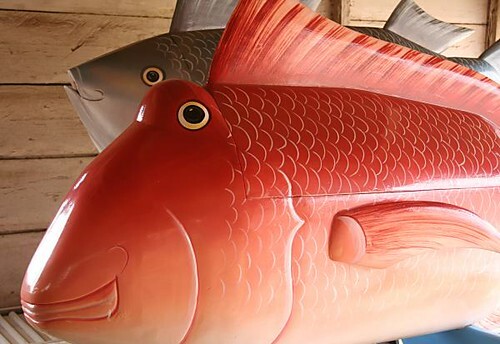 Soon it became a fad and requests started coming for coffins of varied shapes and colours. 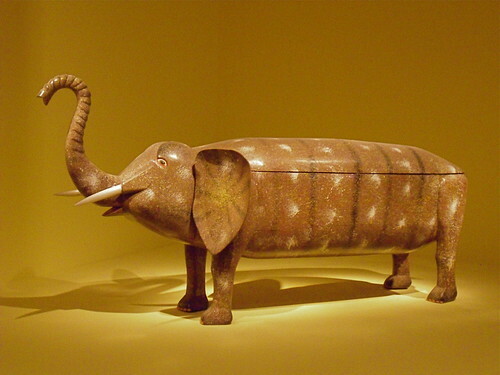 It is now treated as part of African Arts and these coffins have also been displayed in various Museums around the World. 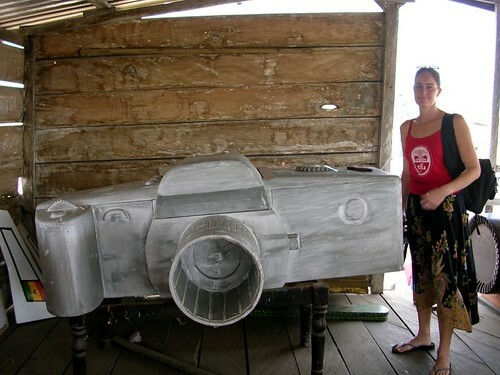 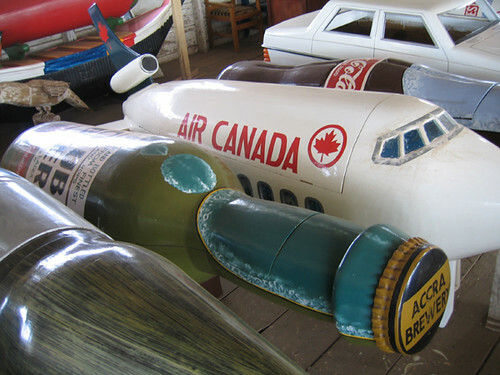 A few coffins have also been exported. 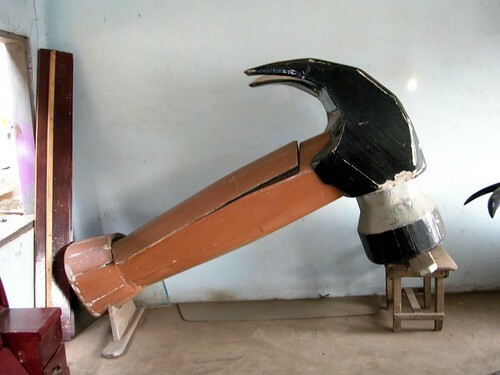 The brothers set up a whole time carpentry shop "Kane Kwei Carpentry Workshop" in the Teshie city. 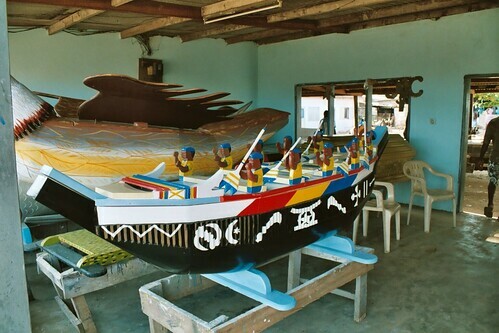 With the demand for fancy coffins increasing several more carpenters in and around Accra have started making these fancy coffins. 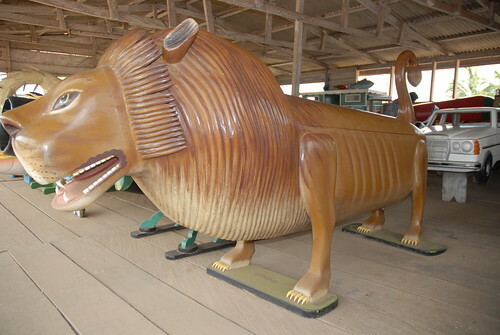 Nowadays coffins of different designs are readily available, however a custom design takes about 30 days to build and till then the dead body is kept in the morgue. 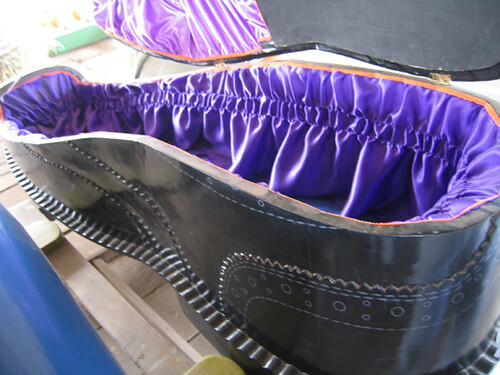 It is considered bad omen to order a coffin in advance.